I’m really pleased to tell you about something new that has been in the works for the past month and a half. 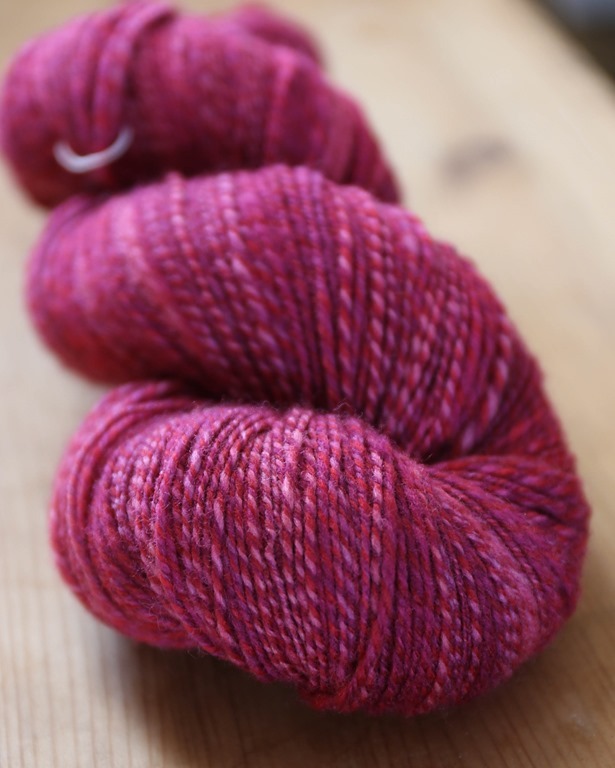 Starting in September (now), I will be sharing with you here and on the Sweet Georgia Yarns (SGY) blog the monthly fibre club all spun up! Sometimes it’s hard to envision what the monthly club will look like spun up but now, you’ll have a chance to see it as Felicia recommends each month. I’m really excited about this new venture! 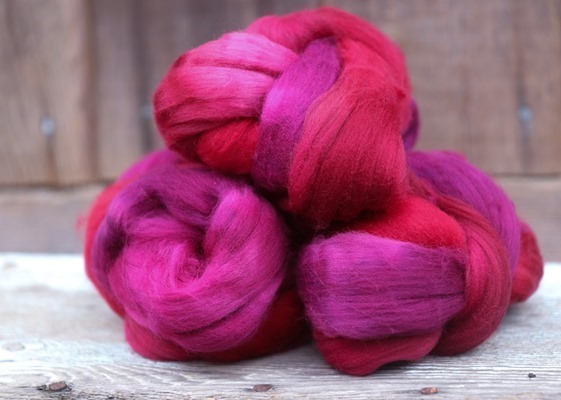 Some of this has been cross-posted on the Sweet Georgia Yarns’ blog, so please excuse the repetition — I will be sharing the monthly club spinning here, as well as on the SGY blog. Since everyone has *hopefully received their club in the mail, today being the last day of the month, is Reveal Day! 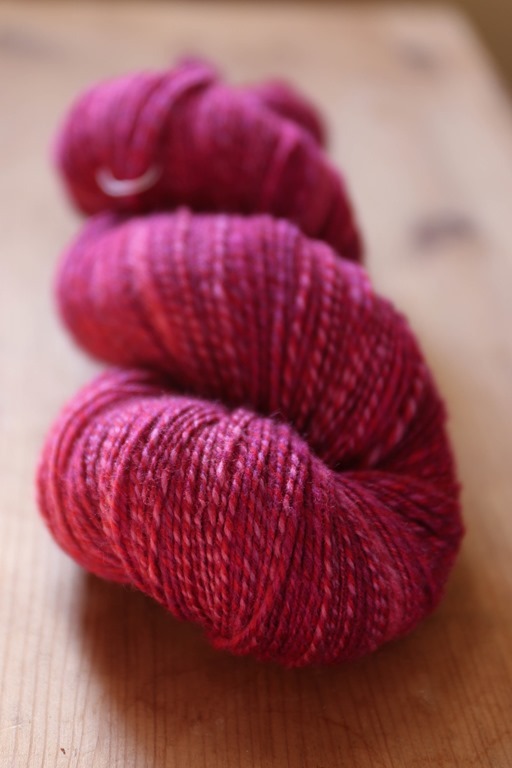 September is Sweet Georgia Yarns’ 10 year anniversary. 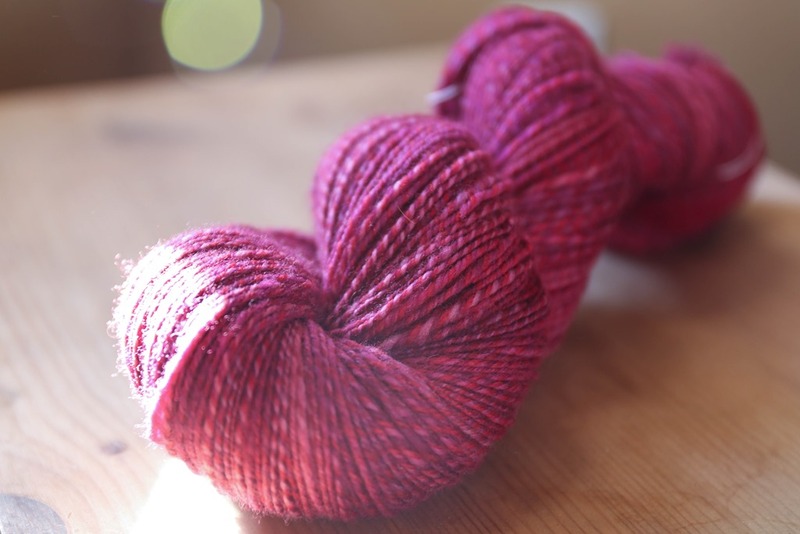 This gorgeous colourway commemorates these amazing years for Felicia and her team! 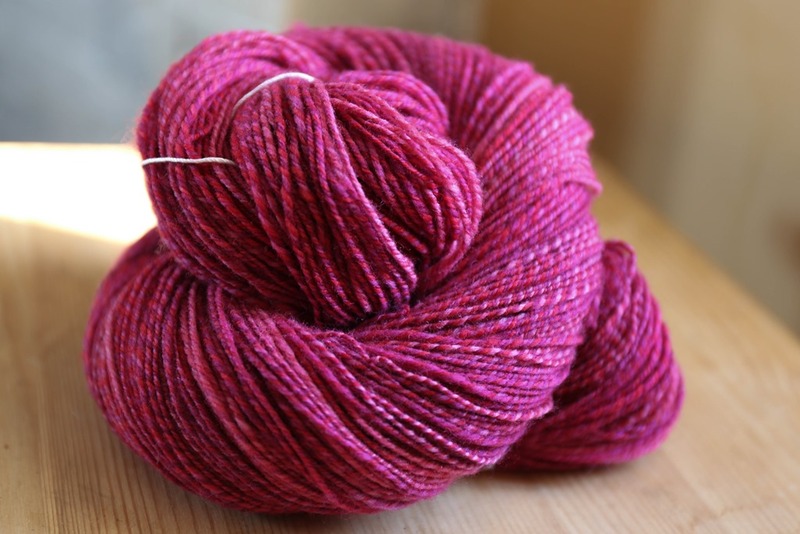 September’s Fibre Club is Superwash Targhee. This is a first for Sweet Georgia, which is really exciting! Targhee are an American breed that was developed in the mid-1900s as a dual-purpose sheep that would be good meat and wool producers. They were also breeding for sheep who would be live mostly out on the range, which would require very minimal human intervention. From Rambouillet rams and Corriedale/Lincoln ewes, they succeeded in creating a new hearty sheep breed! I love this photo because even with the glare on the lens, the true colours of the pinks, purples and reds are clear. 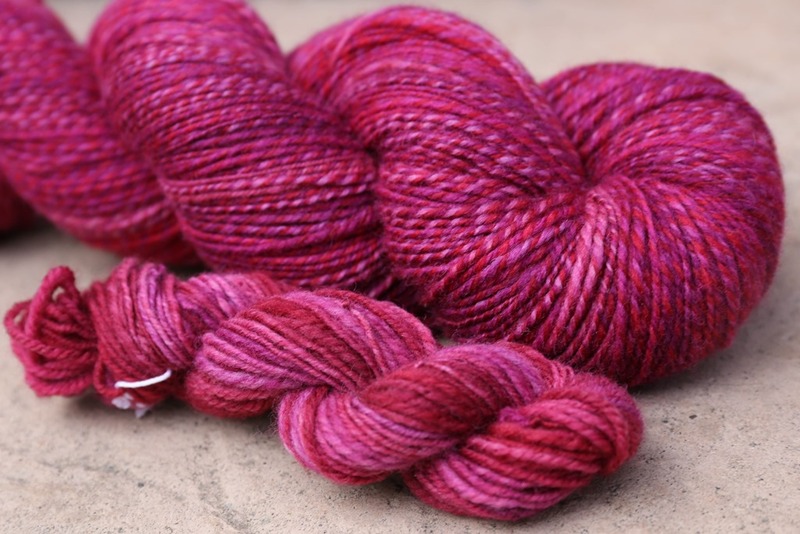 It’s a gorgeous yarn and a dynamic photo such as this one really helps to show off how truly special this yarn/fibre is this month! 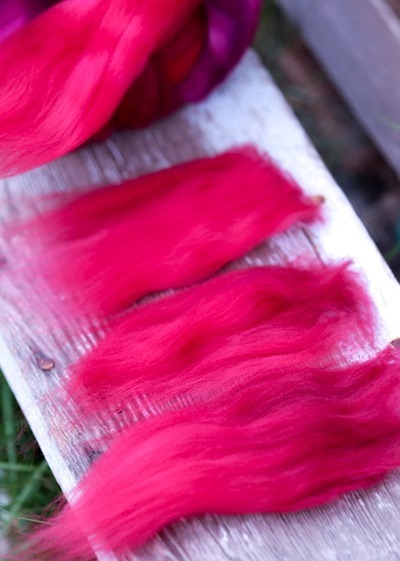 While Targhee is a fine wool, it has a slightly longer staple length (when compared to Merino) at 3-5 inches. It also has a bit of sheen. Slightly more durable than Merino, it is often used for socks. 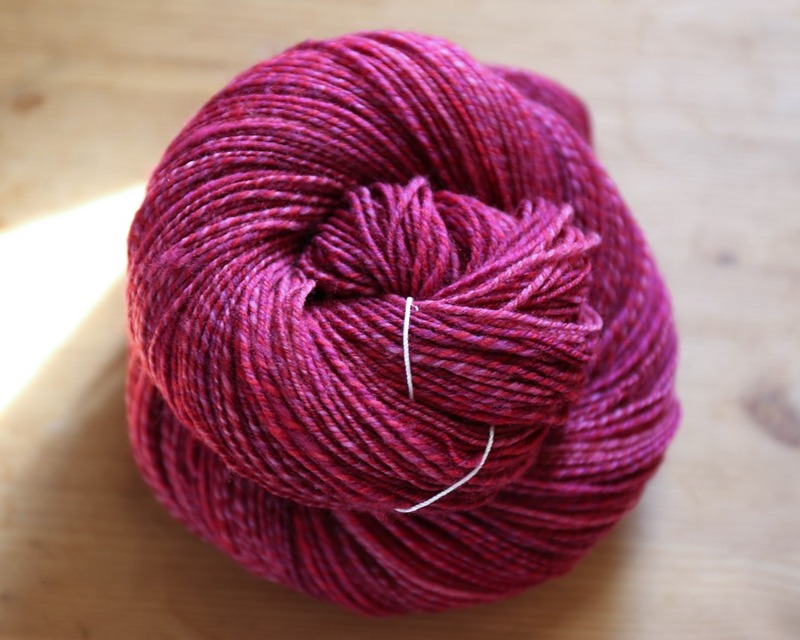 For September, a traditional 3-ply sock yarn with lots of air and loft was recommended. I spun from the fold, staple length by staple length. I separated the braid into 3 separate and equal-weight piles (each were roughly 40 grams), and pulled staple lengths off the fibre supply. Three separate piles, each equal in weight. 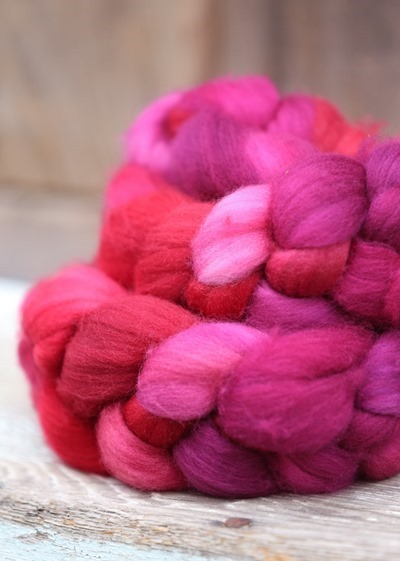 I then started pulling off staple length to spin a light, airy and lofty yarn from the fold. 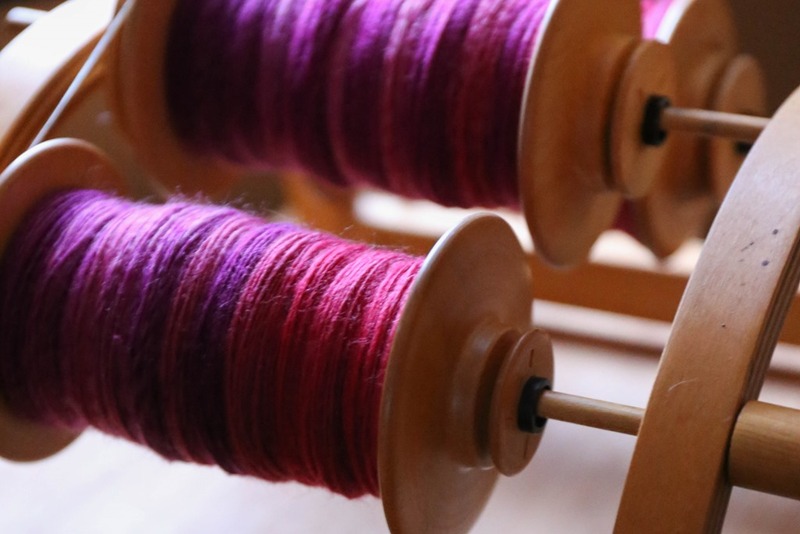 I pointed my finger towards the orifice of my wheel, drafting forward and smoothing back towards my fibre supply. Above, the obligatory bobbin shot. I still used a short forward draft, smoothing the fibre as I moved my drafting hand back to the fibre supply for a slightly denser single. 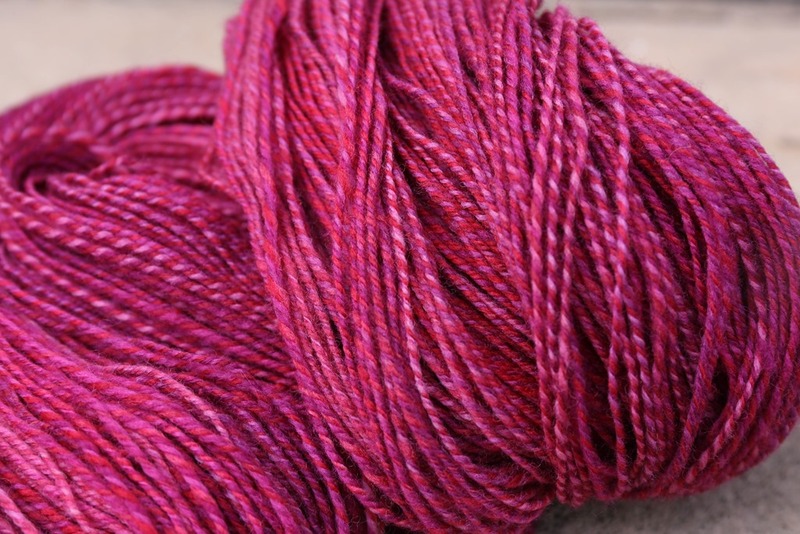 This created a semi-worsted yarn. 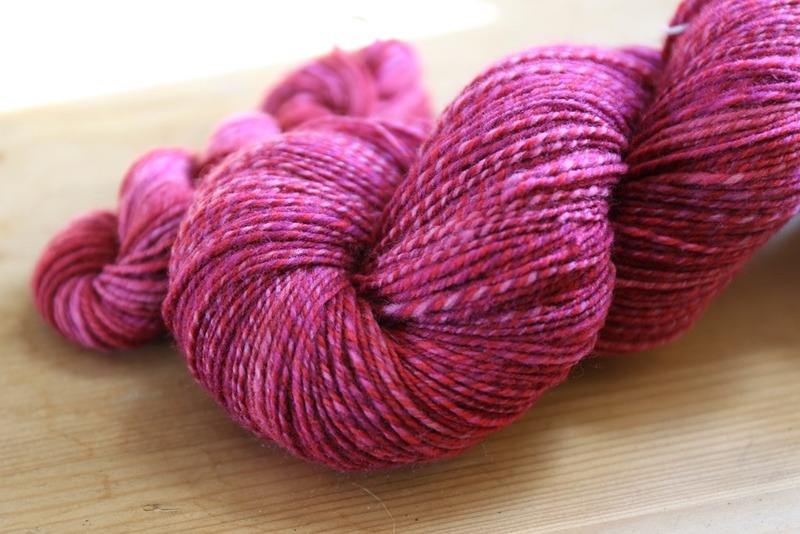 I used a high whorl ratio to allow lots of twist into the singles, as well as the plied yarn. This adds to the durability of the yarn for socks. 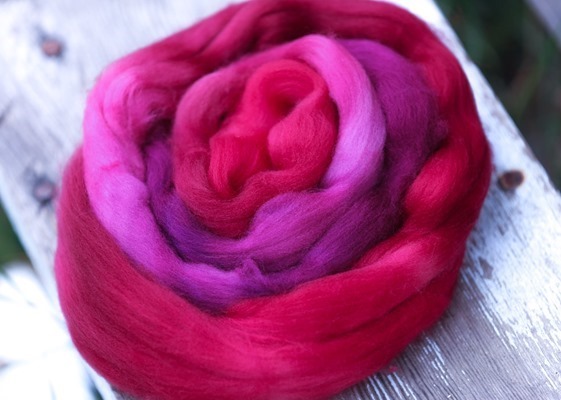 I know some are saving this braid for Spinzilla and I can’t wait to see how others spin it! Next Post a simple poll. 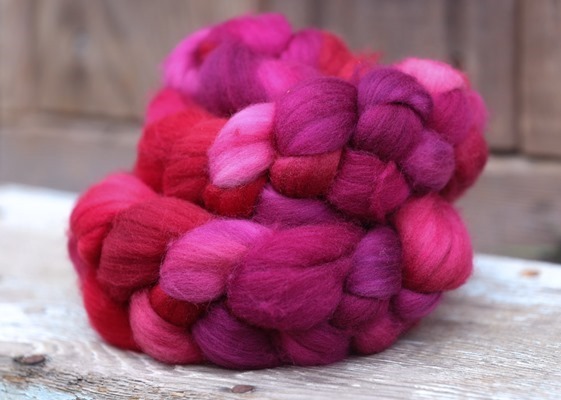 I don’t know a ton about spinning, but that is some beautiful yarn!